WhatsApp has been steadily adding more and more features over the past year and that is not slowing down. In the last few months, we've run across dozens of tips of upcoming WhatsApp options, some that are already live, others that are starting to materialize, and several that are still tagged with a big question mark. We're compiling here a few of the latter and most interesting rumors and tips, but do take them with a grain of salt. Some of them might really happen, others could be scrapped off. 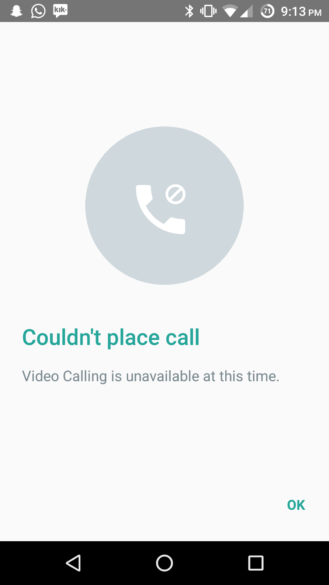 Rumors of WhatsApp adding video call support go as far back as last December, but the news has been intensifying over the past few days with screenshots of the feature surfacing for beta iOS users. 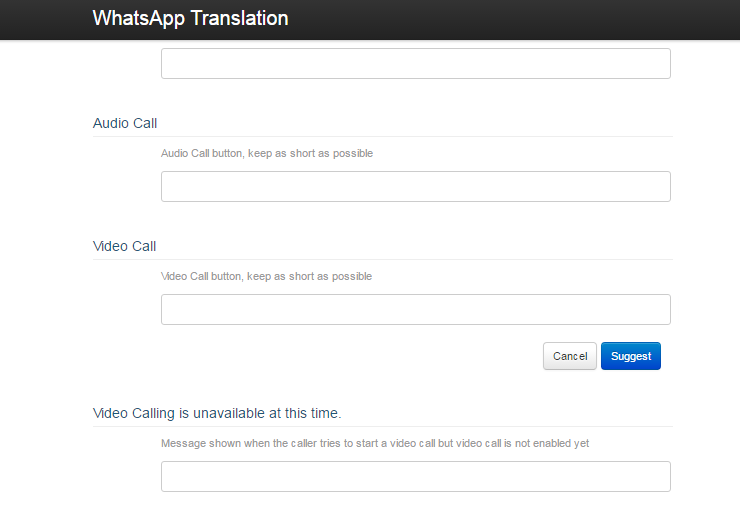 Most importantly though, users who help in translating WhatsApp to various languages have received new strings to translate, including "Video call," and "Video calling is unavailable at this time." It's actually this last sentence that has showed up in one of our reader's screenshots. Apparently the feature is accessible on some devices running the beta app, but it's not yet activated and/or it requires the other party to have the beta too. 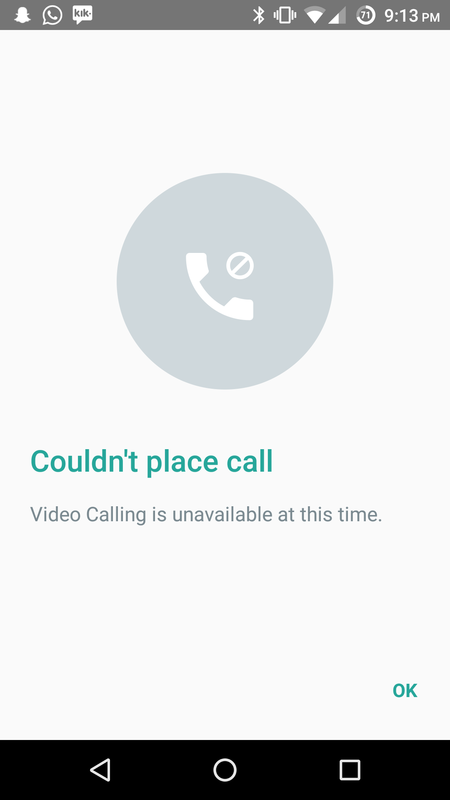 It's quite clear by now that video calls are coming very soon to WhatsApp, but whether they'll be rolled out to beta participants only, to everyone, or as the same silly invite-like system of voice calls (with the long saga of invites opened/closed that we had to suffer through), we're not sure. We'll keep our eyes open and so should you in case it starts popping up. 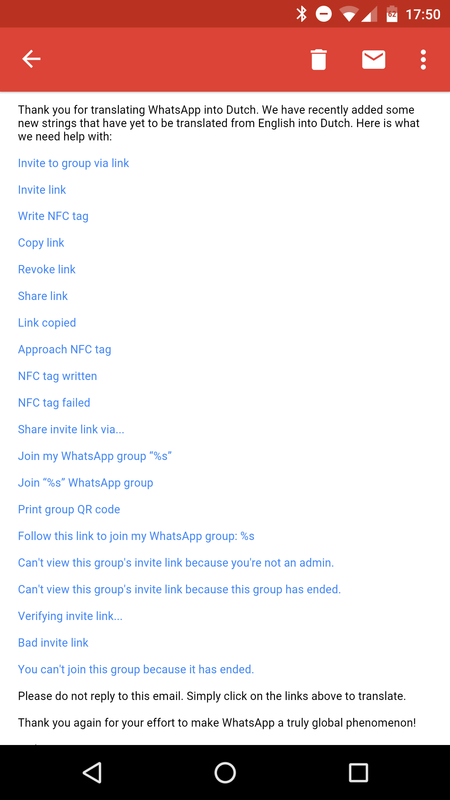 Another interesting feature that is also revealing itself through translation strings sent to participants is the option to send group invites via links and NFC tags. 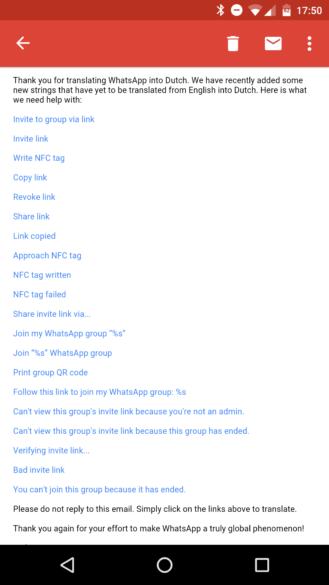 As the screenshot below shows, there's a set of sentences related to writing and reading NFC tags and another set related to sharing group invites and joining groups via links and QR codes. The two, logically, should be related, allowing admins (and maybe participants?) to share links to a group through other apps or by writing them to an NFC tag or QR code. This would make it easier for businesses and communities for example to get more people inside their group, without having to manually invite each and every person through their phone number. Given the extensive list of strings here, it doesn't seem like this is a small experiment, but a more thorough feature that is well developed so far. However, it isn't live for me on version 2.16.67 and doesn't seem to have shown up for other users either, so keep your eyes open for it. 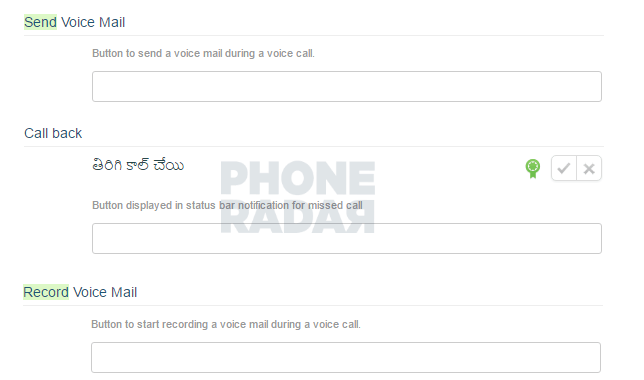 WhatsApp's voice calling has been available for over a year now, but not much has changed in the functionality since day 1. It seems though that there's work underway to improve it a little bit, as described in translation strings obtained by Phone Radar. Right now, when you call someone on WhatsApp and you don't get an answer, you never really know if that's because the other person is disconnected or because they didn't actually pick up. There doesn't appear to be a fix for that yet, but there's a small bandage that WhatsApp is adding in the form of voicemail. 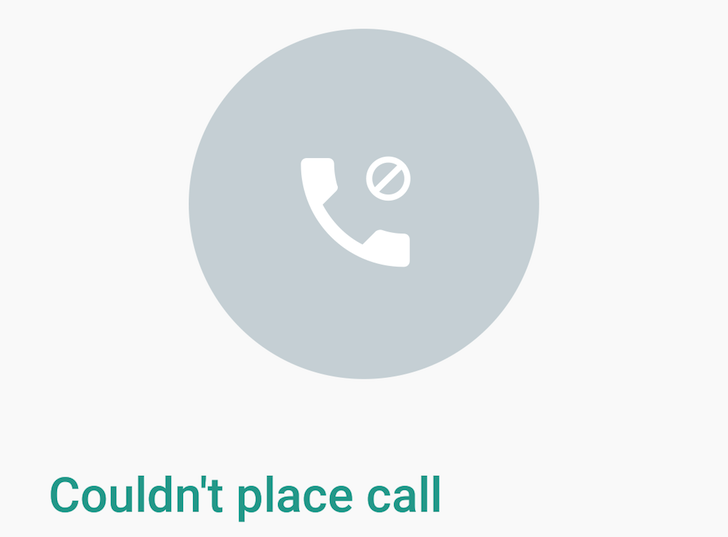 When your contact isn't answering, you can instantly record a voicemail, which is probably the same thing as sending a voice message but doesn't require you to end the call, go back to the conversation, and then tap the microphone to start recording. It's faster and more convenient. When WhatsApp added document sharing last month, the feature only allowed you to send .pdf files. Then it got expanded to support .txt files and Google Drive docs and spreadsheets, and later it added Word and Excel document formats. Many other file types don't seem to be supported though, but that might change soon also according to Phone Radar. Zip and vcf (contact card) sharing could soon be allowed in WhatsApp, letting you compress files before sending them and maybe even walk outside the lines by sharing other file types inside the .zip — music maybe? Given that .zip sharing is still not possible within WhatsApp, we don't know yet how restrictive or open it will be. Still, it's something to keep an eye on when you tap to attach documents inside a chat. Aside from WhatsApp's work on native PC and Mac clients, which we recently covered, these are basically all the rumors of upcoming features with a modicum of proof that we've come across. Which one are you most looking forward to?